Don Juan. Lord Byron's Haidée. Home » Don Juan. 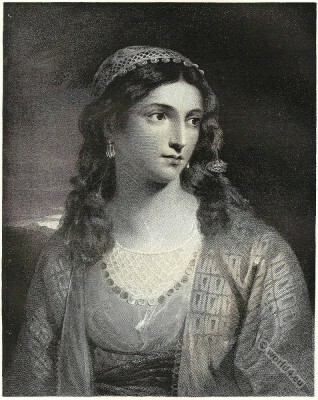 Lord Byron’s Haidée. Don Juan. 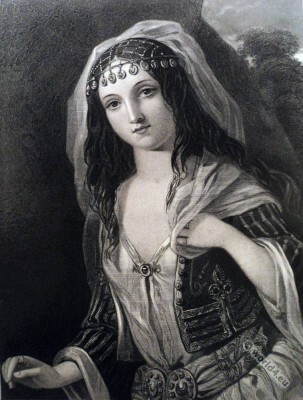 Lord Byron’s Haidée. Don Juan. 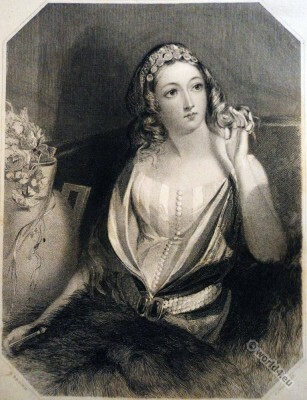 Lord Byron’s Haidée. English Romanticism, the black romance. From the book: Character sketches of romance, fiction and the drama by Rev. Ebenezer Cobham Brewer, 1892. A revised American edition of the readers handbook. Edited by Marion Harland. George Gordon Noel Byron, 6th Baron Byron (1788-1824), known as Lord Byron, was an English poet. He was the father of Ada Lovelace and is also known as an important participant in the freedom struggle of the Greeks. Ada Lovelace was a British mathematician. For a never finished mechanical computer, the analytical engine, she wrote the first program. For this reason, she is considered as the first computer programmer in the world, even before the first male counterparts. The Ada programming language and the Lovelace Medal was named after her. Lord Byron works are associated with the English late Romanticism, the so-called black romance or romance negatives. Byron created with the protagonists of his literary works an archetypal figure: the “Byronic hero”. The “Byronic hero” is an outsider and a rebel, which did not concern about social change, but the satisfaction of personal needs. A great influence exercised Lord Byron on the young Friedrich Nietzsche. He was in correspondence with Goethe, who gave him a posthumous monument with the figure of Euphorion in Faust II. Heinrich Heine dedicated a poem to Byron, Edgar Allan Poe portrayed him in his first narrative The appointment. Free eBooks: The works of Lord Byron in 13 volumes. Related to Romanticism period. England Georgian era. 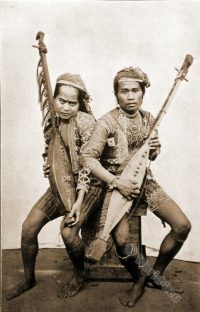 Mindanao natives playing the Kutiyapi. Philppines. Radack Islands. Inside of a house. 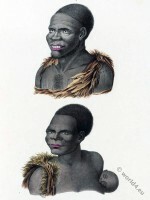 Inhabitants of Tasmania, Van Diemens Land. 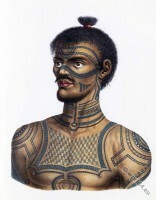 A tattooed man from Nuku Hiva, Marquesas Islands. Inhabitants of New Holland, Australia. 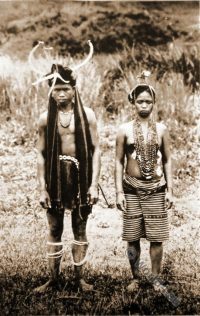 Native Coffee Pickers of Hawaii in 1899. This entry was posted in 1823, 19th Century, England, Genre, Georgian period, Regency period, Romantic Era and tagged Character sketches, Lord Byron, Oriental Scenery, Romanticism fashion on 3/31/15 by world4.